First, they are the same show, just a name changed involved. 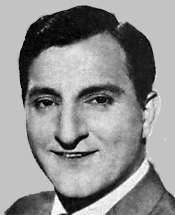 The story was based on Danny Thomas’ real life as a working, travelling comedy actor. In 1956 Jean Hagen quit the show and so Thomas killed off the character of his wife. For the next season he was a bachelor, courting various ladies. Then he falls for Kathy, a widowed Irish nurse with a daughter Linda. Memorable performaces include Hans Conried as Uncle Tonoose and Bill Dana as Jose Jimenez. Jeam Hagen died in 1977 of throat cancer, Hans Conreid in 1982, Rusty Hamer commited suicide in 1990, and Danny Thomas died in 1991 of a heart attack. Marjorie Lord is actress Anne Archer’s mother. TV Guide’s Danny Thomas Page, with TV Listings, Photos, Videos, Exclusive News and More. If you are going to start watching the Danny Thomas Show again, this is the season to begin with and the DVD set to own. Marjorie Lord appears as new wife Kathy. Angela Cartwright takes over as Linda. These are the characters and situations we best recall. As one of the few sitcoms ever to exceed a decade on the air, Danny Thomas was unique in many ways. While other TV Dads always knew “best” Danny made mistakes, Danny emoted, Danny made a scene. I always found this reassuring. Perfect makes me nervous and the Thomas character, voted one of the Top Five TV dads of all time by TV Guide, seemed real to me. This DVD is a treasure. A true collector’s edition. Generously provided with the set is the 4th season episode in which Danny and Kathy get married. But the real gem is the “Danny Meets Andy Griffith” episode from the 7th season. This is the true pilot for the Andy Griffith Show which ebgan airing the next year. 2) Rare performance footage of Danny Thomas on a Dean Martin and Jerry Lewis telethon. Now in its 20th year, Questar, Inc. is one of the most distinguished independent producers and distributors of programming for television, the home, libraries, education, and the Internet. Questar distributes feature films in partnership with PorchLight Entertainment, and acclaimed non-fiction programming in association with such esteemed producers as National Geographic, Reader’s Digest, and the award-winning public television series NATURE.